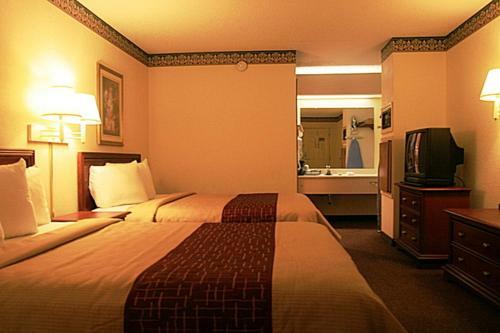 Rooms from $45.89 per night. 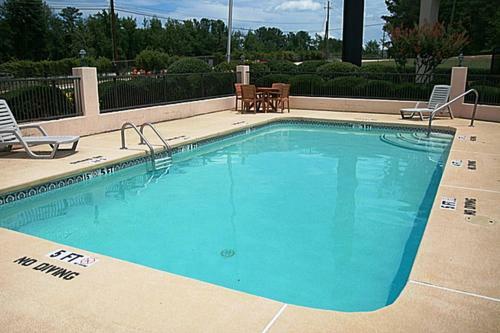 Description This Macon, Georgia hotel has an outdoor pool, free internet access and non-smoking guest rooms. This hotel is also pet friendly. 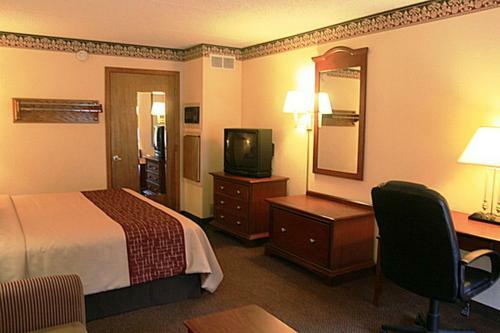 Complimentary continental breakfast and parking in a convenient location are highlights at the pet-friendly Red Rest Inn. 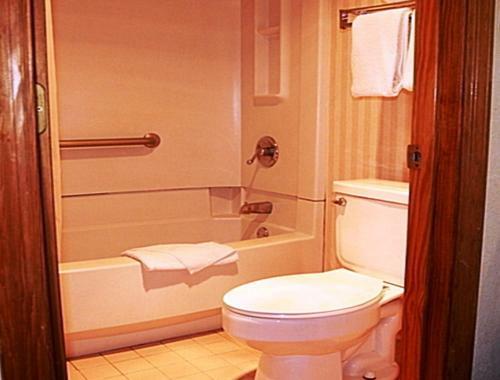 The two-floor Red Rest Inn has 59 rooms that all feature Wi-Fi microwaves mini-fridges coffeemakers desks with lamps free local calls and cable TVs with in-room movies and HBO. 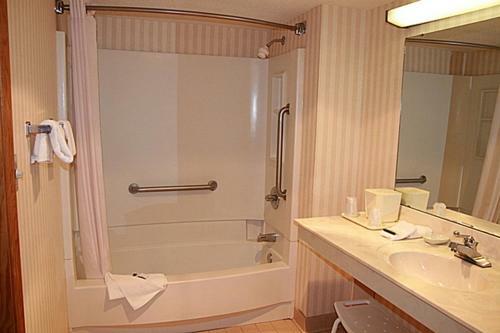 To cover all of your work and relaxation needs the hotel has a seasonal outdoor pool a 24-hour business center a guest laundry and a 24-hour front desk. 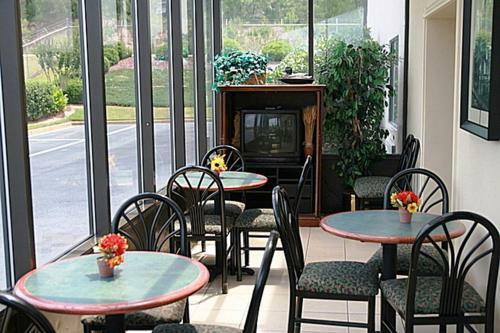 In the morning guests enjoy a free deluxe continental breakfast with a make-your-own-waffles station. Parking is free and pets are allowed. 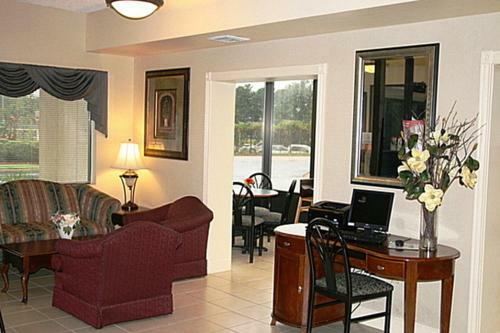 Off I-475 Red Rest Inn is a half-mile from Macon College and one mile from Macon Mall. Within seven miles of the hotel guests find Mercer University Hay House and the Georgia Music Hall of Fame. Middle Georgia Regional Airport is 12 miles away and Hartsfield-Jackson Atlanta International Airport is 78 miles away. 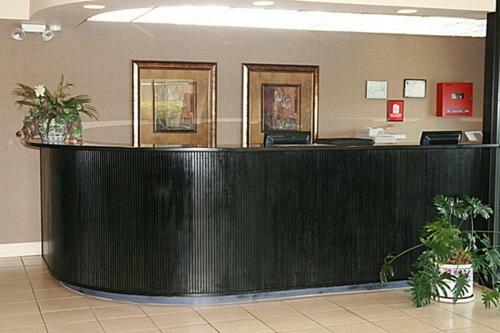 Add Regency Inn & Suites to your free online travel itinerary.